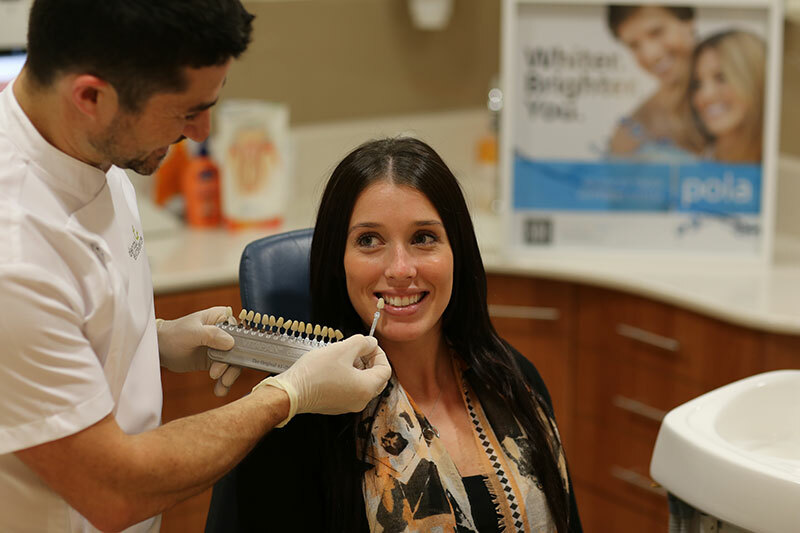 Our most popular and commonly recommended teeth whitening in Perth is our take home treatment, and it is considered by many to be the “gold standard” of teeth whitening. Home teeth whitening in most cases gives the best and most predictable results of all teeth whitening methods. It only takes two 15 minute appointments. Take home teeth whitening is a great cost effective way, to whiten your teeth in your own time, with excellent results. You can wear your trays whilst reading a book, surfing the net or watching tv – its that simple! The procedure is described below. During your teeth whitening consultation, we will discuss your expectations, examine your teeth, and recommend the best whitening protocol for you. Your existing tooth colour is then noted by using a teeth whitening shade guide and a photo is taken of your smile. This will be used at the end of your teeth whitening treatment to compare the final result. Moulds are then taken of your upper and lower teeth. This is very simple and takes only 5 minutes. Its the same as having a mouth guard made or retainers for braces. These moulds are then used to make your very own customised at home teeth whitening trays. Your trays are ready to be fitted in as little as 2-3 days. At this second appointment we will try your customised trays in your mouth ensuring they fit 100%. 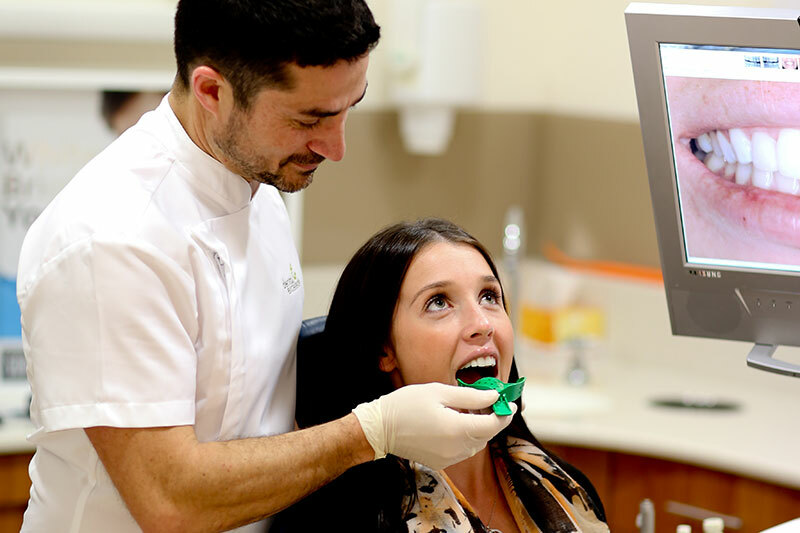 You will then be shown how to apply the teeth whitening gel in the tray, how to put them in your mouth, and be given your personalised teeth whitening plan. That’s it! We like to review all our teeth whitening clients 2 – 4 weeks after the teeth whitening process. At this appointment we review the colour of the teeth and any questions you may have. Another photo is taken along with a colour match to compare how successful your teeth whitening has been. In some cases we may need to alter the whitening plan in order to obtain the desired result. How much does teeth whitening at home cost? The starting price for teeth whitening at home is only $350. This price includes your consultation, customised at home whitening trays, teeth whitening gel, plus your review appointment. The price will vary however if you require additional teeth whitening or other whitening enhancements such as micro-abrasion, single tooth whitening or filling replacement. Any additional cost will be explained to you at your initial complimentary teeth whitening consult. With a health fund? Good news, various health funds will cover some of the cost of teeth whitening! So for teeth whitening at home in Perth call us today on 08 9443 8333 to brighten your smile.